ILUC may have been nonexistent in 2000-2010 – the surprising result of our research at Biomass Research, using statistics that were not before analysed for this goal. Yes, farmers grew much more biofuel crops. But this was more than compensated for by multiple cropping mainly in tropical areas, and by reuse of fallow land. Farmers did not so much open new land, but used it more effectively. So far, biofuels hardly competed with food production. This month, the environmental committee of the European Parliament (EP) capped biofuel production from food crops to a maximum of 5.5% because of its effect on food security. Discussions on land use change (ILUC) as a result of biofuel production have had a major influence on policy making in the past few years. 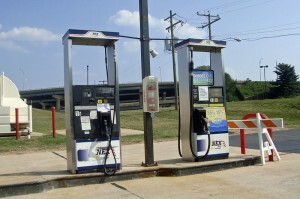 According to some studies, biofuels would endanger world food production. The catchword was competition: farmers could not serve two markets. Biofuel would in the end lead to ILUC: a parameter showing in what measure other land use has been driven away by biofuels, finally resulting in deforestation. But according to our findings, biofuels did not compete much with food production, at least not so far. Our main find is that farmers increased multiple cropping, a practice that allows more than one harvest from a field in a given year. And they reused land lain fallow. By doing so, they generated new biofuel feedstock while not endangering food production. Of course, biofuel expansion claimed land. Urbanisation (including roads, industrial areas, and tourist and new natural areas) claimed even twice as much land. And here is the surprise: using the land more effectively compensated both effects. So farmers managed to harvest more crops – from less land. This came as a surprise, as we expected biofuel expansion to have happened at least partly at the expense of food production. We knew farmers are keen to cover the increased demand for crops, and we expected them to reduce the amount of fallow land. We did not expect farmers to increase multiple cropping. But they did. It allowed them to compensate land losses caused by biofuels and urbanisation. 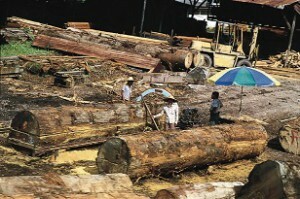 Therefore, on a macro scale, there is no evidence that biofuels are responsible for large scale logging of rainforests. In our study, we used a new approach. We collected land use and crop data from sources like the Food and Agricultural Policy Research Institute (FAPRI) and the Food and Agriculture Organization of the United Nations (FAO). So far, biofuel watchers had to rely on model projections. And apparently, ILUC models have overlooked the effect of multiple cropping. This does not mean that biofuel production will never affect food production. Competition for land does occur. Locally, biofuel producers may use land that was used for other crops. These are practices that we should discourage; existing land rights should be respected at all times. But there is reason for optimism. In 2000-2010, as a whole, farmers provided sufficient crops to compensate for biofuel expansion, serving both food and fuel markets. This does not mean that hunger has been solved. And biofuels could compete with food in the future. Our report arrives as biofuel policies are highly criticised. Often, it appears, for the wrong reasons. We hope that the facts we have revealed, will play a role in further discussions on biofuels and ILUC. The study ‘Analysing the effect of biofuel expansion on land use change in major producing countries: evidence of increased multiple cropping’ was published by Biomass Research, a consulting company based in the Netherlands. The authors are Hans Langeveld, John Dixon, Herman van Keulen and Foluke Quist-Wessel. A paper on the subject will be published soon in ‘Biofuels, Bioproducts and Biorefining’. For more information: www.biomassresearch.eu. Thank you for this very enlighting article. My suggestion: If you combine these findings with those you just recently published (Diederik) concerning the food vs non-food feedstock for industrial use (extracted from the paper of the nova Institut), you’ll have an even more sweeping set of arguments vis-à-vis those politicians that are still reluctant to really support the bio-based economy.